The Bohol Bar Association is also right in asking Chief Justice Renato Corona to resign to spare us the “anguish and expense” of an impeachment process. Besides, it argues, Corona “ab initio” is an illegal GMA “midnight appointee” – violative of Article VII Section 15 of the constitution. Even assuming Corona will be acquitted, he offers no redeeming value to a Supreme Court he will head- losing with either heads or tails. Like his previous counterpart at the Ombudsman Merci Gutierrez who initially glued her behind on the throne, Corona thinks he deserves to retain his “crown” in court and unlike her, will not resign to the sound of “You’ll Never Walk Alone “and the “Impossible Dream” during the nine novena masses leading to the fateful January 16 beginning of the trial in the senate Impeachment Court. We hold the view, however, that the impeachment trial should go on- to prove to the world there is no selective badgering of only GMA allies and that Corona as chief justice is inextricably linked to GMA’s last line of defense –after losing the House and the Ombudsman in succession. The December SWS survey showed a strong correlation between those dissatisfied with GMA (-62) to those who gave Corona a failing mark of (-21). That the Supreme Court, as a whole has a more positive rating of (+21) against Corona’s (-14) proving that the people do not think that “Corona is the Supreme Court”. Corona’s braggadocio that he will be acquitted in the senate is contradicted by his lawyers’ tactics to delay the trial and the throwing of obfuscating mirror to muddle the issues ,perhaps reminiscent of the tantrums of the Duke of Deception? 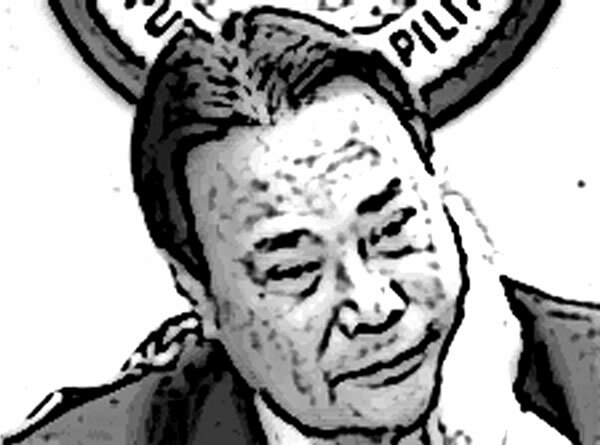 The Corona camp wants a “pre-trial” to determine whether the honorable 188 congressmen who voted for his impeachment were merely swayed by the “Impeachment by Powerpoint” or knew the letter and the spirit of the charges enough that to this day, none of them had recanted his/her previous position. Article VI Section 3 clearly points “the exclusive and sole” right to initiate impeachment proceedings belongs to the House of Representatives. Lawyer Jay Dejaresco in his “Breathing Space” column argues persuasively that the SC can act on matters (judicial review) of the other branches of government like the Executive and Legislative where a “grave abuse of discretion” is committed- with great “moral” restraint to even do so. He says in the Impeachment Court (senate), the SC does not have jurisdiction because the Senate is not exercising its law-making function as another “branch” of Government but as senate-judges as an impeachment court which is created constitutionally equal to that of the SC. “No one is above the other”. If the Supreme Court brings the battle to its own turf and rules against the Impeachment Court- it will be violative of the Constitution and that is an offense that will make those justices voting for such impeachable under the law. Belatedly, Corona said this adversarial government move really started when the Supreme Court voted to have the Cojuangco Hacienda Luisita land (6,4000 hectares) be distributed to the tenant-farmers. Conveniently forgotten was the fact that the SC decision was “unanimous” and that the president who owned a miniscule 3% of the shares already divested a long time gone. Then, the Corona camp maliciously releases an unverified COA Report stating that there was no hanky-panky in the use of the Judicial Fund, one of the cases against the chief magistrate. Arguing that the declaration of the SALN is observed more on the breach by various branches of government, on the other hand, does not exonerate the Chief Justice if he did not so declare as well. The latest canard is making the rounds that from the CCT (conditional cash transfer) of P 21-B will come P 400-M to each opposition senator to look the Palace’s way on the Corona case. But that huge amount of money cannot possibly escape scrutiny since individuals receive only as little as P 1,400 a month for the CCT- how will they hide billions uprooted for dubious usage without inviting an angry COA scrutiny? There was, however, a previous accusation that the Arroyo Camp will muster all its acquired wealth to have a Corona acquittal- the S.C. being the last bastion of whatever kind of people wants itself rescued from legal perdition. Par for the course, we think. A Corona impeachment will bring to full national televised view what power a certain lawyer answering to the name of Estelito Mendoza ( a legend he has become) can have so much influence with bthe majority of the SC largely identified as the “Arroyo Court” that they will flip-flop in disgusting fashion over the 16 towns turned to cities issue and the case of the aggrieved PAL employees. The PAL workers are financially disadvantaged and the city mayors claim they lost P5-B in IRA to those new 16 cities who do not qualify to be such under the norms created by the DILG. Let the Impeachment Court tell the world by what gall Cristina Corona has to remain in the officer ranks of the Baguio Country Club (government owned) even after her husband was appointed by his patron as SC chief justice. Let the Impeachment Court detail how the Corona family managed to own (19 documented of the 45 alleged properties) in Manila, Taguig, Makati, Marikina and Quezon City totalling almost half a hectare valued at P200-M in market value. The most expensive of the lot is a 1,200 square meter house and lot in plush La Vista subdivision valued at P 72-M ,acquired in November 2010-in a village owned by the Tuazons (relatives of the First Gentleman). Isn’t the timing of the purchase and the value of the property not carrying volumes of unspoken speculation? The “Arroyo Court” will stand scrutiny for violating the Constitution on the issue of the TRO on the “travel restriction” on GMA by the DOJ by stating on November 29,2011 that “ the TRO is not suspended despite non-compliance with a condition”. Three conditions were noted to not having been met. This is contained in the so-called Serreno Dissent, which according to legal pundits, was prevented from being published upon orders of the Chief Magistrate. Is there also tyranny, then, within the SC halls itself? Tomorrow will be the senate’s date with history. Impeachment , of course, is a political process but it does not mean it has to partisan. While adhering to the rules on evidence in the regular courts, the senate cannot ignore the political impact of the impeachment on the very soul of the nation, in the opinion of former SC chief justice Arturo Panganiban. The senators who are voted nation wide and the prosecutors representing their district constituencies must make sure that end result will be good for the nation at large. “ Hoodlums in Robe” in the SC itself is as old as time itself. That is one of the reasons Fr Joaquin Bernas said that in making the 1987 constitution they were all aware that “ we have glorified corruption in such a manner that we even needed a special body in government to battle it.” He was referring to the Ombudsman. That is, of course, another gruesome story. Even the Judicial Bar Council which sieves the three candidates for the position of Justice of the SC is reportedly never even spared from the dangerous influence of politics. Levity aside, we wish the senator-judges well and pray that they serve the ends of justice- through impartiality- and thus saving the Supreme Court, a noble institution from becoming the last refuge of scoundrels.